“The whole is more than the sum of its parts.” Aristotle’s wise words may also be applied to wine, or so we believe. Wine is the direct result of a complex combination of soil, grape type, honest work and weather. The certain “je ne sais quoi” of a wine – where does it come from? Could it be a winegrower’s lifeblood, which makes all the difference? Pföstl wine estate is a little wine estate in South Tyrol. 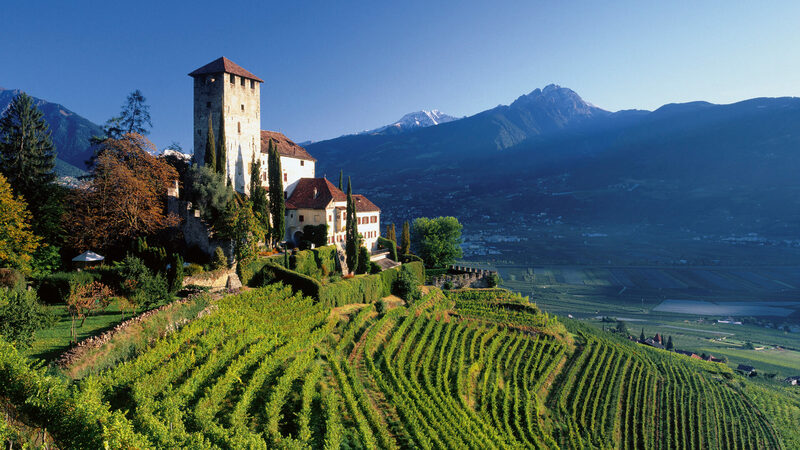 The love for wine is the motivation behind the fine site wines grown and produced here, in new facilities in Scena/Schenna near Merano/Meran. 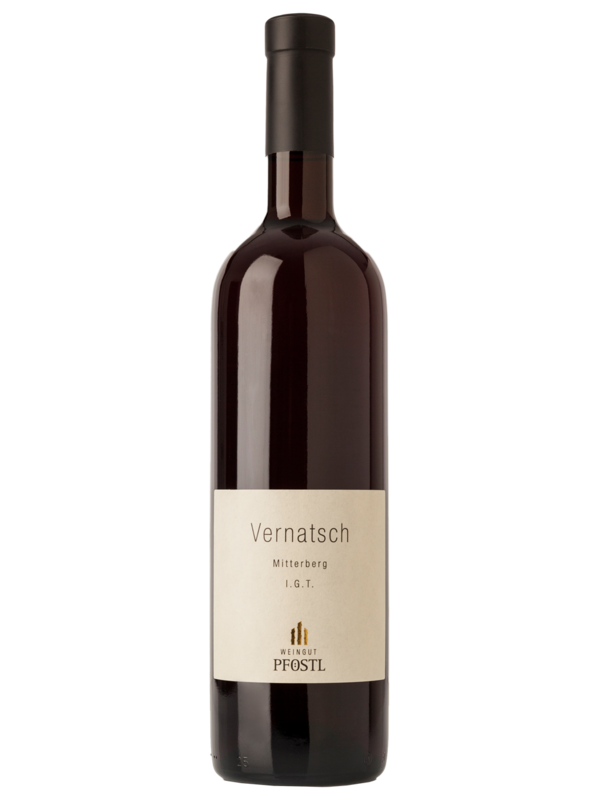 Pföstl wine estate is a dream come true, a dream of two friends who have grown up together and have known each other since early childhood: Stefan Pföstl and Georg Weger. Georg’s roots on his mother’s side lead back to the Pföstl family. 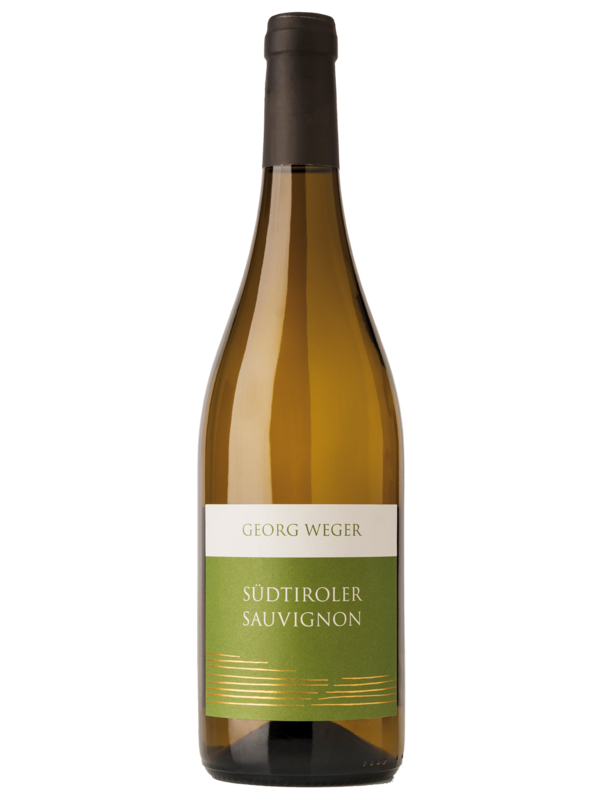 Today, Georg works on the vineyard and processes the grapes in the cellar. The love for wine pointed him towards this profession. 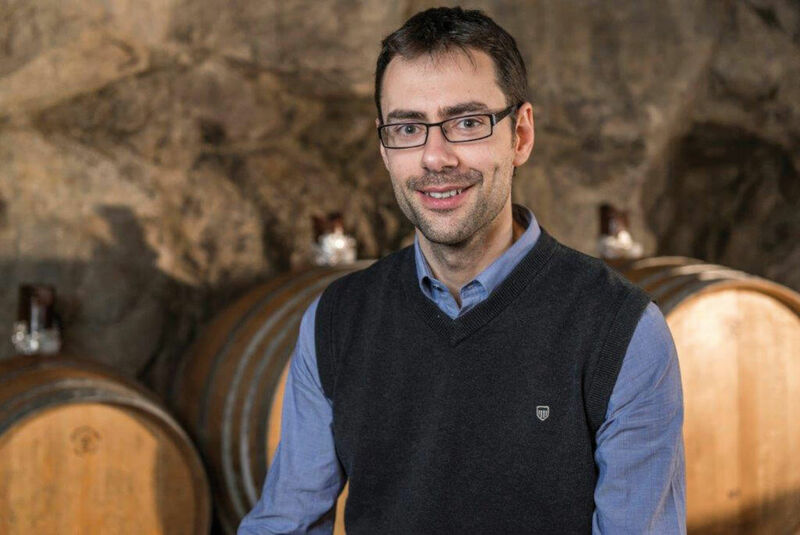 Stefan, on the other hand, is a host out of passion; nevertheless, his heart beats for wine. Stefan takes care of the sales and, whenever time permits, helps on the vineyard and in the cellar. 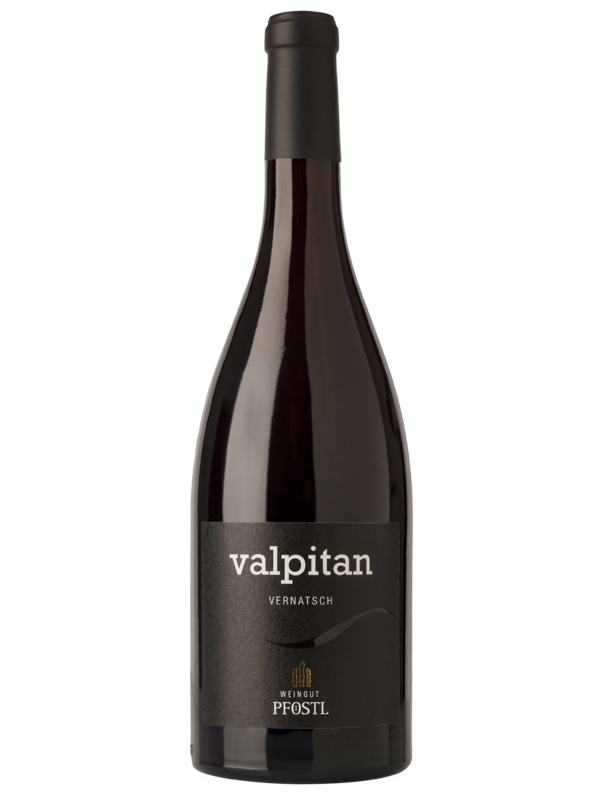 Our wines can be divided in two lines: the vineyard line with the grape- or wine labelling and the selection line, carrying the additional label “Valpitan”. 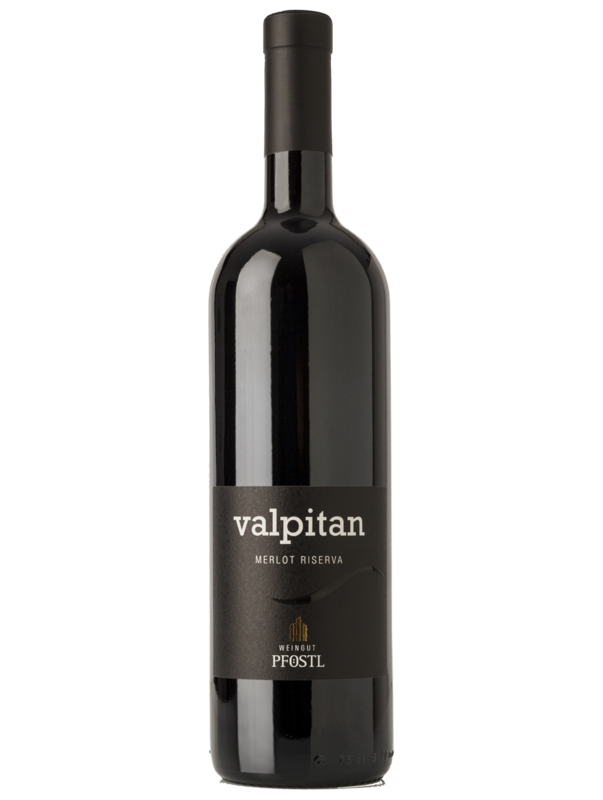 Valpitan is the nearly forgotten name of the farmland surrounding our little wine cellar. The name has Romanic roots and can be translated into “valley on steep trail”. 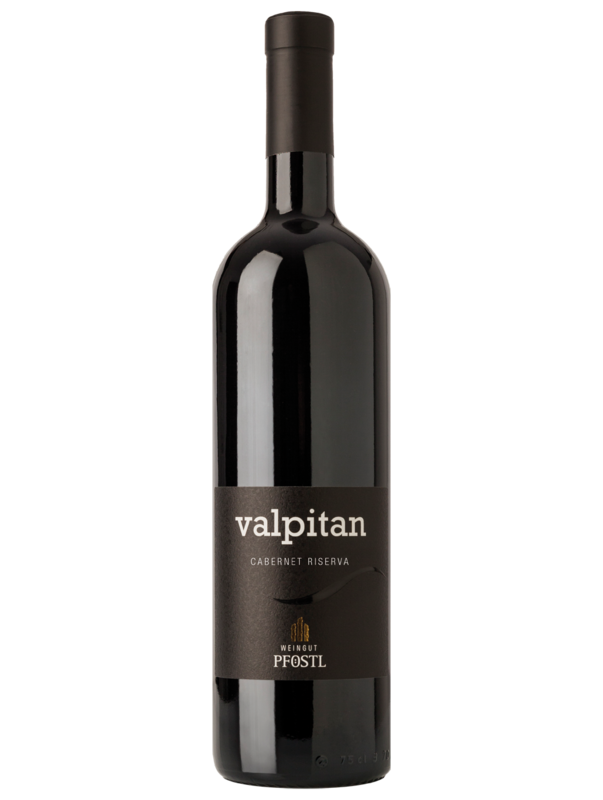 Vigorous, low in tannin red wine with flavours of almond, violet and cherry. 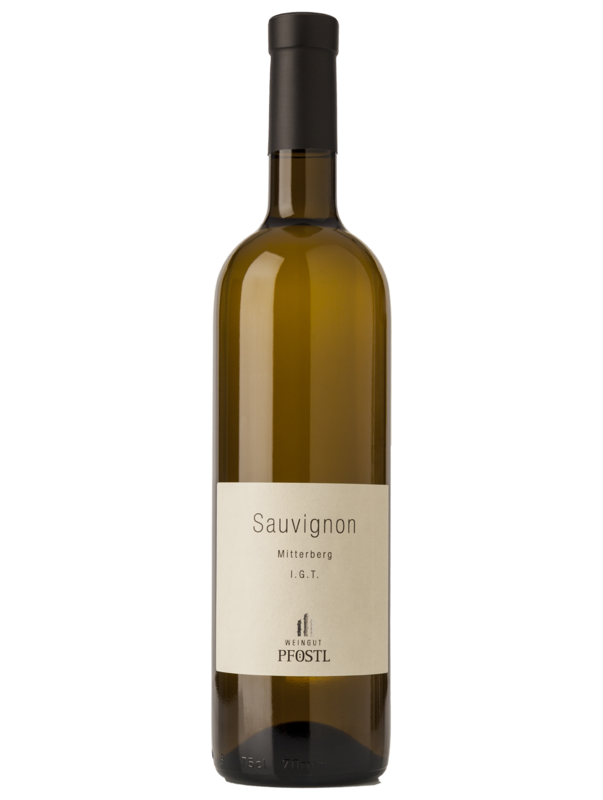 Recommendation: this wine goes with the savoury South Tyrolean cuisine, Mediterranean appetizers, and white meat. 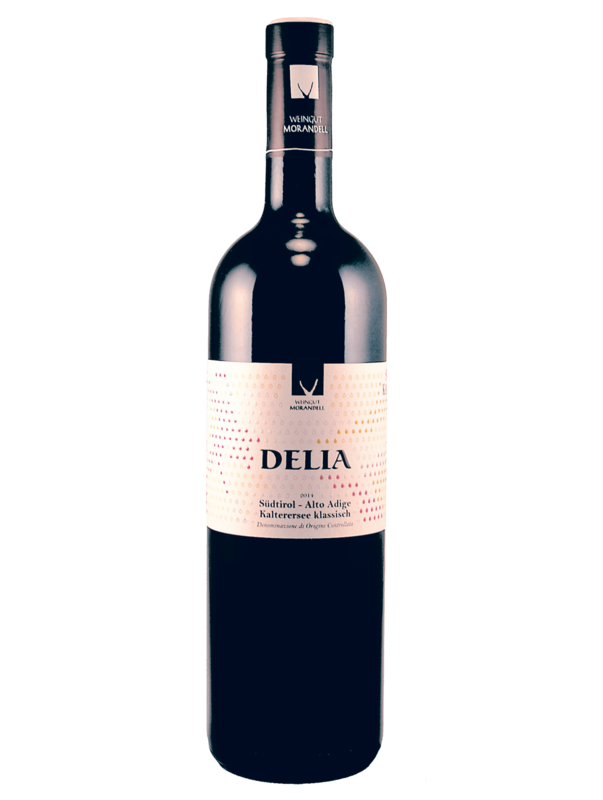 Intensively smooth red wine with soft body and flavours of wild berries and mahaleb cherries. 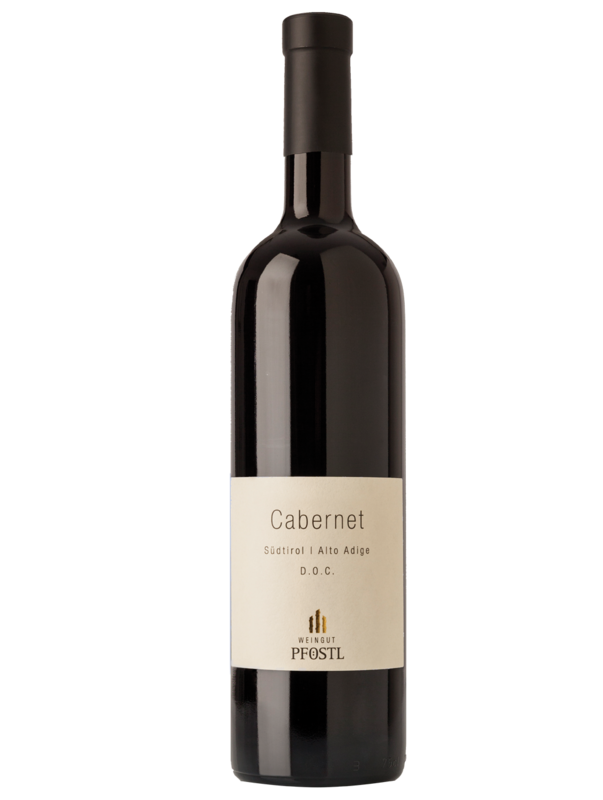 Recommendation: this wine goes with classic meat dishes, strong and ripened cheese. Vigorous, dense Pinot blanc: its complex fragrance reminds of apples and citrus. Recommendation: this wine goes with antipasti (appetizers) and pasta dishes. 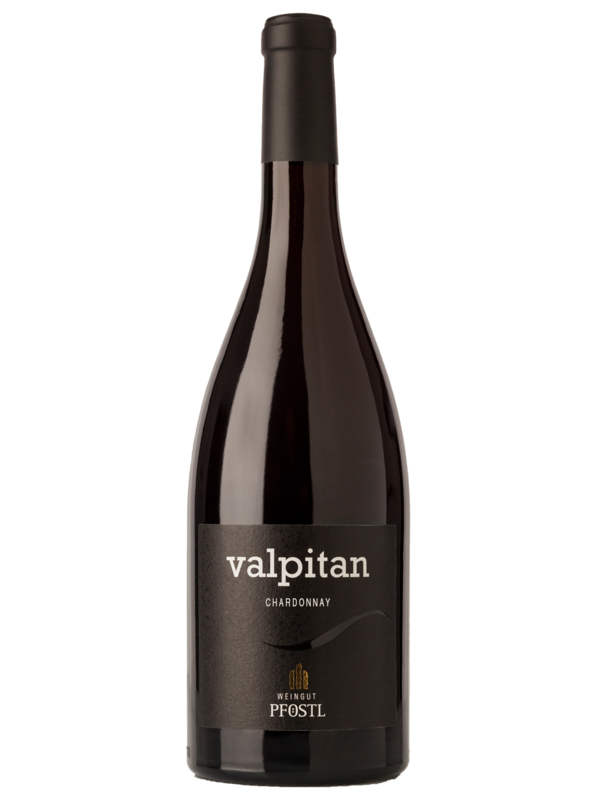 Elegant, dense white wine with a hint of ripe fruits and toasted bread. Recommendation: this wine goes with grilled fish and white meat. 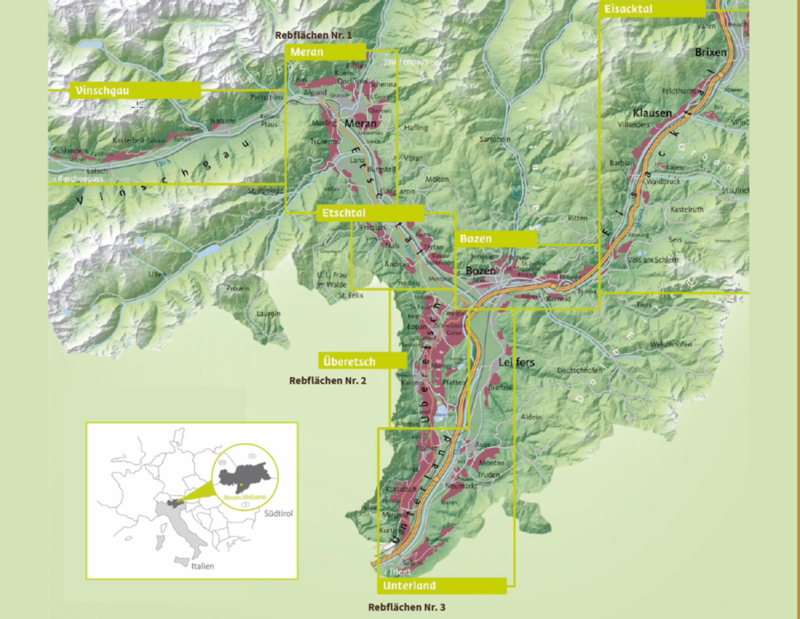 The environs of Merano/Meran hold excellent sites, which are perfect for a whole range of grape types: from Merlot and Cabernet in the warmest areas not far from the Gardens of Trauttmansdorff Castle, to the typical Merano/Meran grape in Scena/Schenna and Lana, to Sauvignon Blanc, Chardonnay, Pinot Bianco/Weißburgunder and Blauburgunder, growing in small vineyards with spectacular views of the spa town Merano/Meran. 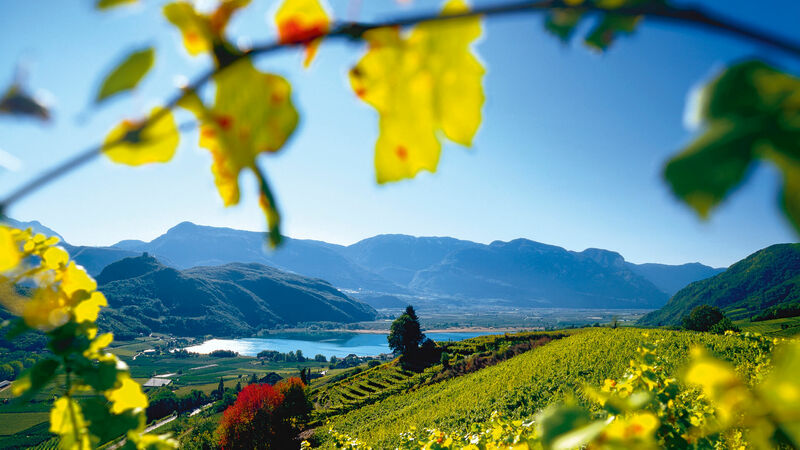 The excellent red wine sites, located mainly around Caldaro Lake/Kalterer See, at a height of 250 to 400 m above sea level, make for elegant, sound wines, from the classic Kalterersee to Merlot to the charismatic Cabernet. White wines like Pinot Grigio grow at higher altitudes. The superb grapes of Chardonnay, Blauburgunder and Gewürztraminer grow at about 500 m above sea level, in red clay soil on sloping terrain, exposed to the afternoon sun. 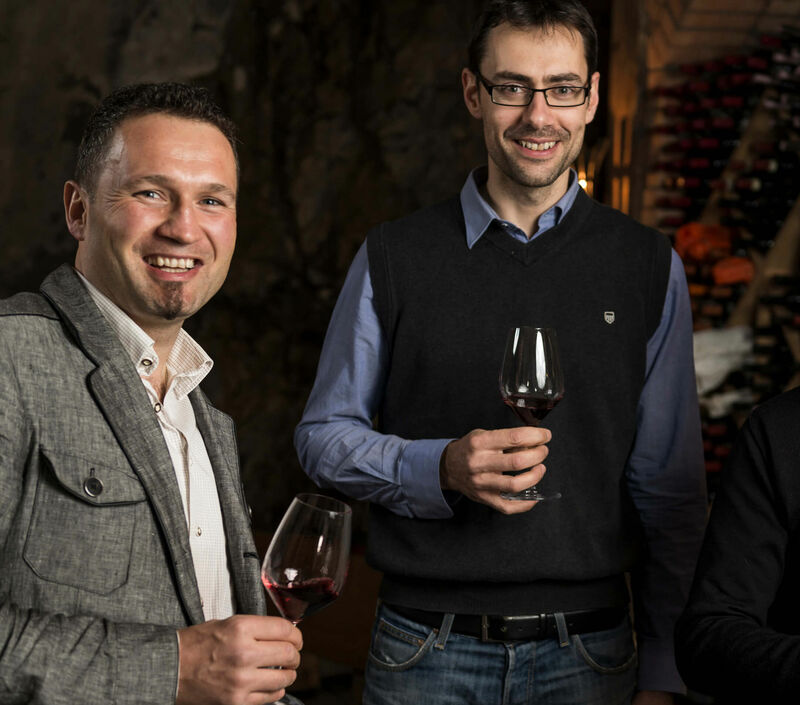 Georg Weger, Stefan Pföstl, Armin Morandell: a passion for wine growing and a long-standing friendship unites the three young men and are the foundation for Weinliab. 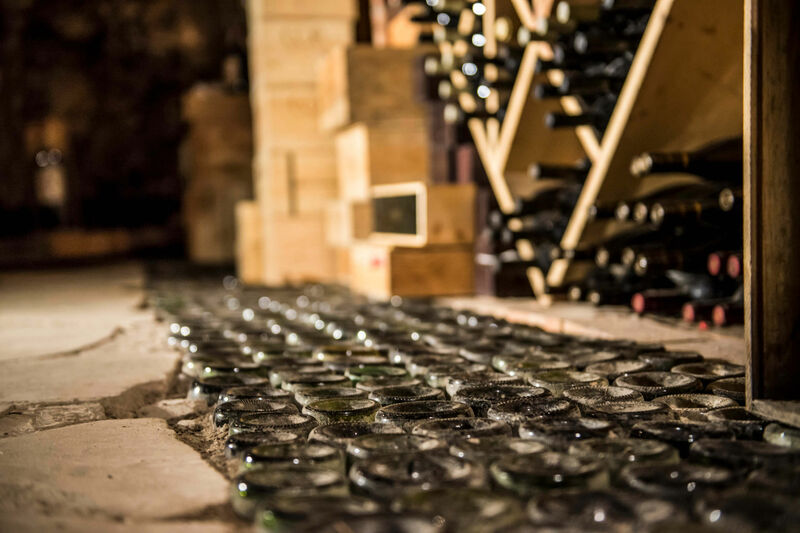 Their vast knowledge and experience in wine production are the cornerstones for the production of truly special wines. Georg Weger. The grapes for an extraordinary Sauvignon grow on this small organic farmland. The granite- and porphyry-rich soil is worked with horse and plough; its diversity is supported with dynamising compounds. The wine is stored in little wooden barrels; here it develops its unique character. 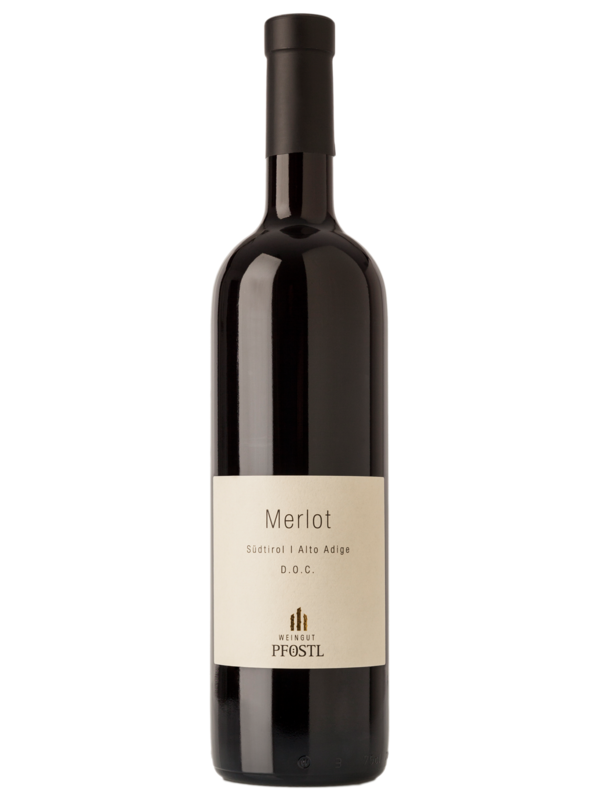 Pföstl wine estate. Pföstl wine estate is a little wine estate in South Tyrol. 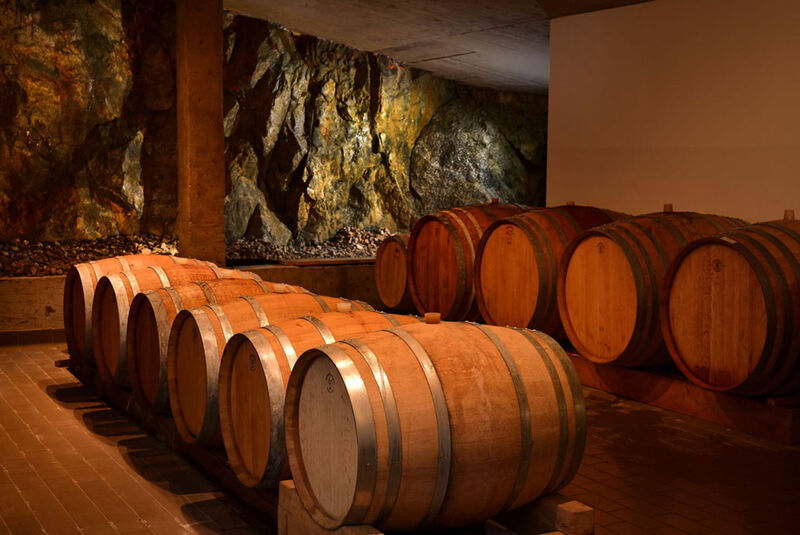 The love for wine is the motivation behind the fine site wines grown and produced here, in new facilities in Scena/Schenna near Merano/Meran. Morandell wine estate. 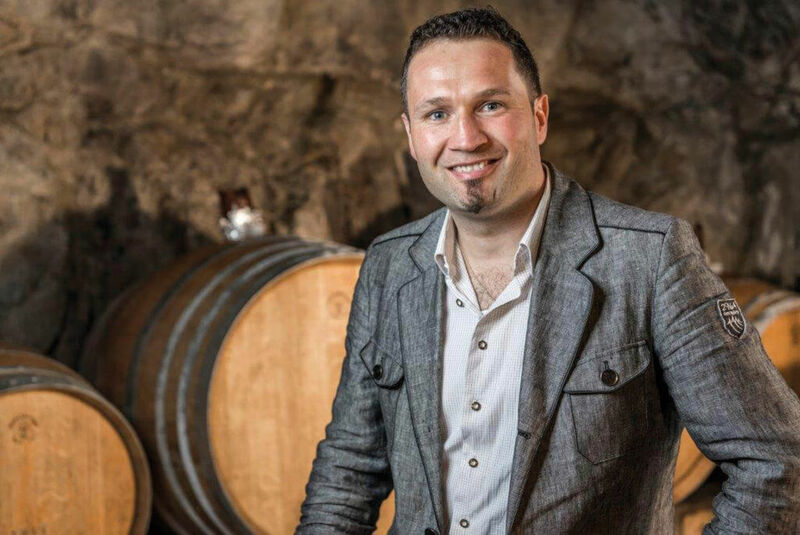 Armin is a born wine grower. His family has been cultivating the art of wine growing for generations. This very art defines the rhythm of the Morandell wine estate above Caldaro Lake. 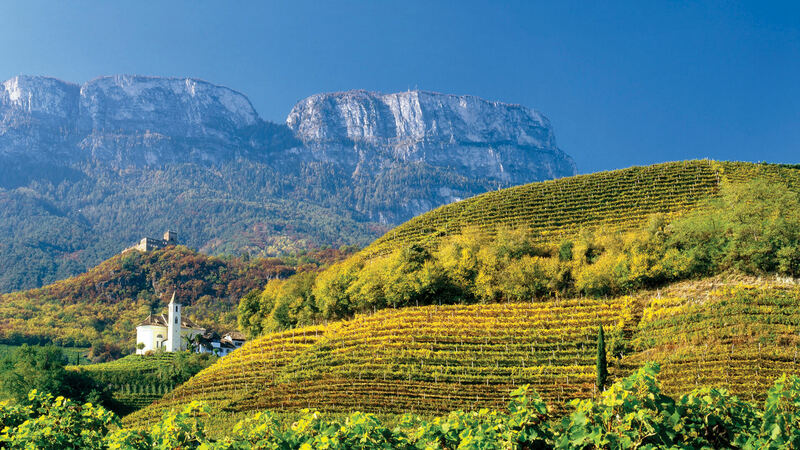 The sun-kissed vineyards are ideal for truly unique wines.